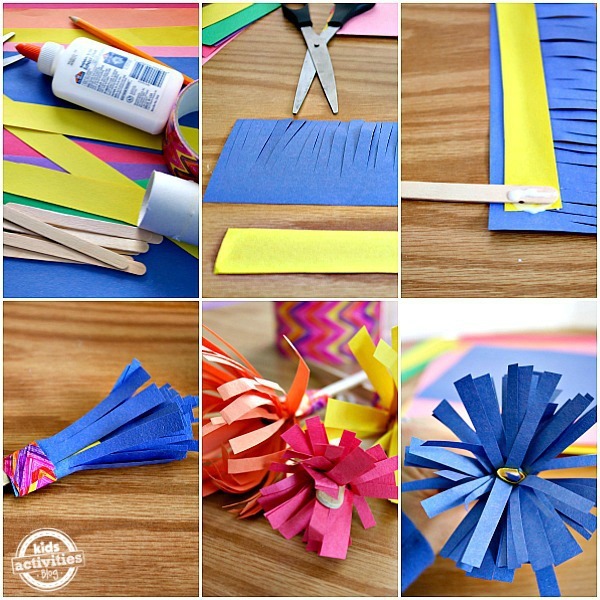 Cut 3 inch wide strips of colored construction paper, one for each flower you wish to make. Cut slits almost all the way through each strip, kind of like when you’re making grass for a paper craft. Put a line of glue along the solid edge, place a popsicle stick at one end and roll it up inside of the paper. Add a thin piece of duct tape around the base of the paper flower to reinforce it onto the popsicle stick. Use your fingers to bend and fluff out the pieces of paper into a flower shape. 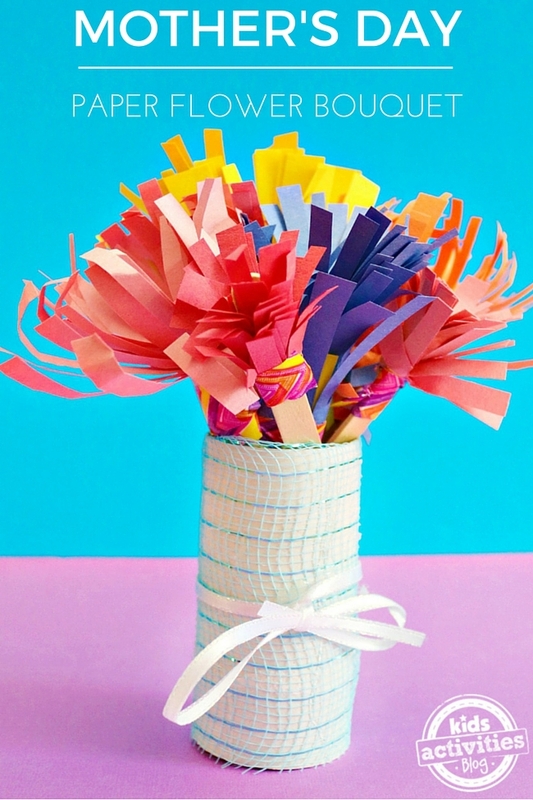 Glue ribbon around the toilet paper roll, place the popsicle stick paper flowers inside the toilet paper roll. This is a great craft for kids. 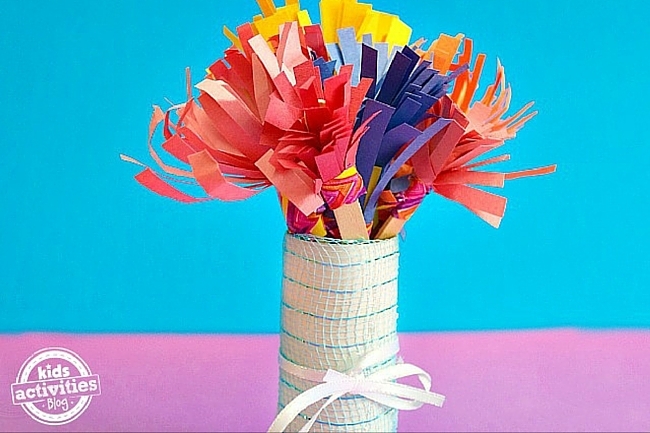 It would be pretty to dress up a gift for Mom whether it’s a wrapped package or gift bag with a few of these paper flower stems too.